Sometime around the polar vortex the and the floodings of the Chemistry building and Vilas Hall, a Facebook page was created. 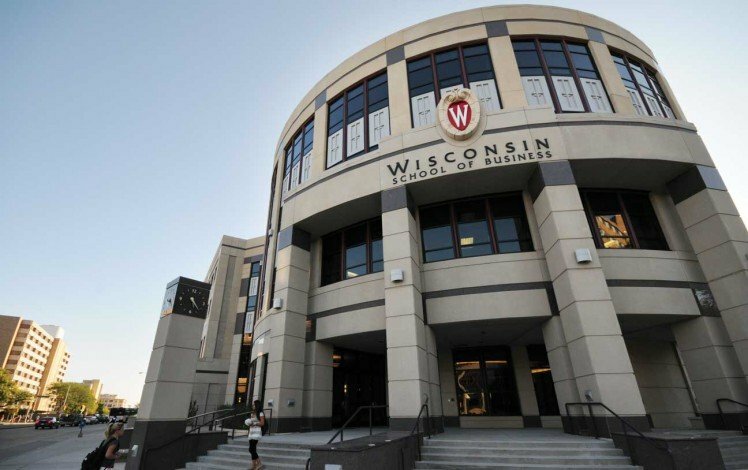 This page encouraged the students of UW Madison to band together and disassemble the Notorious Grainger Hall, home of the business school, brick-by-brick. Most UW students I spoke to found the page amusing but quickly forgot about it. However, this was not the case for senior Ferguson Barker. Barker has been removing bricks from Grainger every day since the page was created. Barker said that he spends anywhere from six to 10 hours a day dutifully taking Grainger apart. To make the task more manageable Barker breaks each brick into smaller pieces using a sledgehammer. Barker said that none of the business school students have heard him yet. His theory is that many of the students have actually lost their AirPods in their ear canals, impairing their hearing. Barker was originally disappointed that no one else showed up to the first day of disassembly. Almost no one has noticed Barker’s progress, although it has been substantial. Barker attributes this to Grainger’s unique architecture. Barker is currently failing all of his classes as he has not attended a single one since the Facebook page was created. However, he is not worried, saying that his parents understand his mission and are supportive. This kind of work ethic was instilled in Barker by his father, Claudius Barker. “I really am so proud of him for being committed to something so important,” Claudius Barker said. Barker’s roommates are less understanding. Barker said that they are constantly asking him why he is covered in concrete and why he keeps blowing all of his rent money on power tools. Barker has no plans of stopping any time soon. “It’s hard work but somebody has to do it,” Barker shouted over the roar of his power drill.